What is a Profession? Ka Ching? At some point Doctors have to talk about money. In my day at medical school it was considered passé. Maybe due to the fact that many of our leaders at the time had a predilection for left wing aspirations or that they were simply from independently wealthy families. It is timely that Dr Steve Hambleton of the AMA wrote this today. This week I resigned from a practice run by non-medical people. Some of them are very poorly versed in the industry of healthcare as a profession. It espouses great marketing such as removing the day to day worries of running a practice from a Doctor so you can get back to the business of patient care. However the hype did not match the experience and I resigned due to concerns about professionalism and my duty of care to patients. This claim to remove the Doctors practice management worries however is simply not true and I am grateful for the experience of corporatized medicine if only to inform me. My question is can a Doctor ever be removed from the day to day running of a medical practice? I have been a practice owner so I now have experience as an owner, as a contractor in Doctor owned centres and in a publically listed (means shareholder responsibility) entity. The shareholders care about a dividend and in my opinion, are very little concerned with how that dividend is achieved. My reflections are that one can never be ignorant of the business of Medicine. 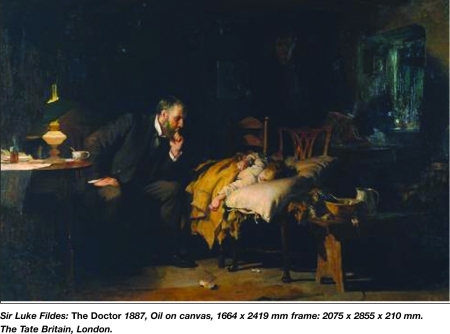 The very valuable and at times ephemeral aspects of medical professionalism are intricately related to the economics of health care. In a corporate practice you will still have the same problems with staff being at times, sub optimal, systems being outdated and inefficient work flow and yet now as a contracted company you have little say in how this is managed, yet retain the stress of poor management. Poor management effects patient care and in some cases can even effect patient safety issues. A poorly functioning recall system for instance can put a Doctor at direct medico-legal risk. Staff substitution of tasks to less qualified staff is high risk for professional care but great business. I am mindful of the saying “You don’t know what you don’t know.” And sincerely wish it didn’t race through my mind quite so often. There is a bit of a sense these days that health care is easy; that General Practice is simply at the push of a computer button. That somehow it has to be of an incredibly high standard, delivered at an exceptionally low to free price, with fast turnover and 24 hour access. Irritatingly the economic model of the Australian Medicare Benefits Schedule (MBS) is very much along the lines of what I call rat wheel economics. There are whispers on the ethernet grapevine that it reflects an outdated model of illness and it certainly seems to value procedures and tasks over cognitive effort. In fact, a business man told me once “Oh come on, Medicine is just a sausage factory.” Really? I would love to see a corporate accountant prepare the stock market report in half the time it normally takes and expect the same standard of professional care. My point is and I am trying to keep this blog very brief that medicine and especially General Practice is not necessarily well aligned to quantitative algorithms. They have a place of course and I am well aware of the budgetary constraints of small business, and Evidence Based Medicine, however Medicine is not a process line. Medicine is not a product, it is a professional service. It takes years to master the art and science of General Practice and at the end of the day Health Care is delivered by people to people. It remains in my mind a service and it’s a service of community values that the Bean Counters with their Pirate economics need to be mindful of with a qualitative appreciation of the rigours of delivering health care to anxious sick and frightened people with no linear model of care other than a loose and ever moving framework of evidence based medicine. General practice sits in a bio-psycho-social model of illness encompassing our allied health colleagues, our town planners, our community, our specialists and policy makers. It is not devoid of economics and as professionals if we wish to retain our patient advocacy we need to be mindful of our leadership and of the great and vexing nexus between professionalism and economics. Doctors need to lead and we need to talk about money. We need to talk about how health care is remunerated and how it is delivered. We need to have a seat at the table of the policy makers and bean counters if we are to hold onto our Professionalism and if we are to truly advocate for our patients welfare. I await amongst many other things, Tuesdays Federal Budget. I do hope that there is a shred of respect for the professions, well trained people who care about their craft. I have a lot more to say but I made a promise to keep this short.